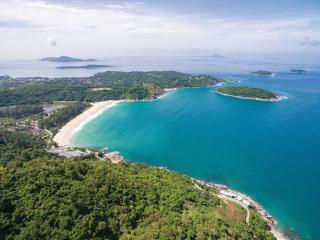 Southern Phuket is one of the island’s favorite destinations. 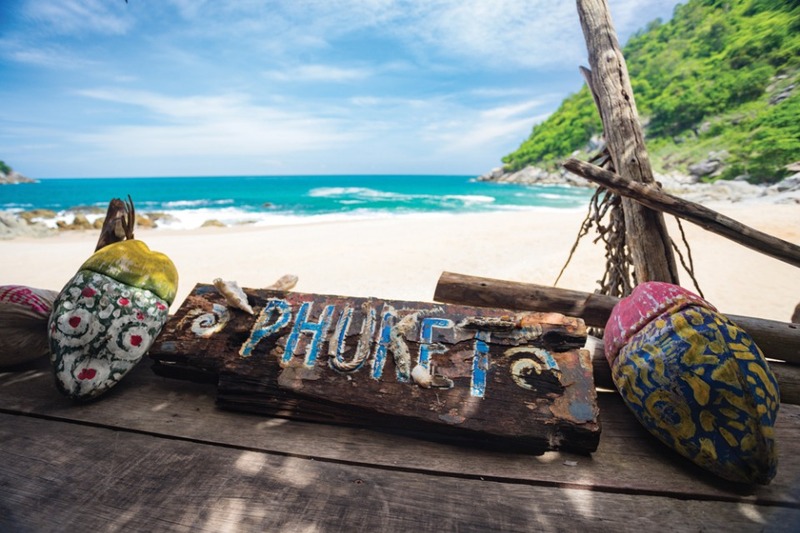 Famous for the stunning Promthep Cape and the laid-back beaches of Ya Nui, Ao Sane and Nai Harn, southern Phuket is quiet and local. 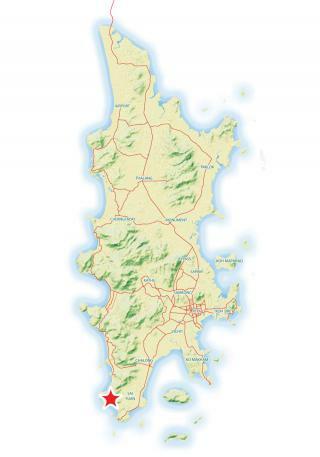 It is home to many of the island’s expats and attracts loads of travellers and tourists throughout the year. 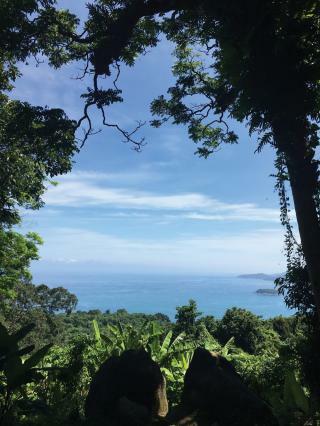 For those looking to head off the beaten track and explore, Southern Phuket offers up some excellent hidden gems in the form of a breathtaking view point, a difficult to reach jungle cape and a secret beach. 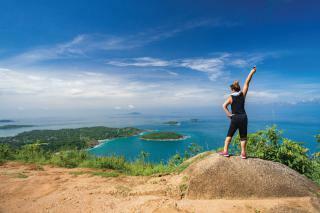 If you are looking for a challenging island adventure, head to the south of the island. While the road to reach these destinations is difficult, the reward is worth it. Relatively unknown until around 2016, when gorgeous photographs of the place started to pop up on social media, the Black Rock Viewpoint is one of the most astonishing viewpoints in all of Phuket. Known in Thai as Pa Hin Dam (or Dum), reaching the viewpoint requires navigating a rather treacherous dirt road and a steep hike. However, if adventure is what you seek, then heading out to discover the Black Rock Viewpoint is totally worth the effort. Located high above the soft sands of Ao Sane Beach in southern Phuket, the Black Rock Viewpoint resembles a large terrace made of reddish-brown soil from down below. At the edge of the cliff, there is a massive black granite stone and this is how the viewpoint got its name. Black Rock Viewpoint is quite remote, and upon reaching the top, you do feel like a bit of an intrepid traveller. 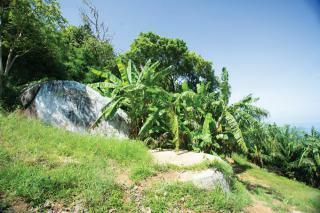 Currently, the viewpoint is not overrun with tourists which adds to its charm. It is quite challenging to reach the destination, but once you do, you will be rewarded with sweeping panoramic views of Southern Phuket, including Nai Harn Beach, Promthep Cape and a small island off the coast known as Koh Man. Peeking over the cliff also allows a glimpse of the road to Ao Sane Beach and the small patch of development being constructed there. 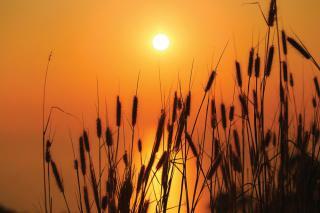 The early morning hours of sunrise and late afternoon before sunset are the best times to head to Black Rock Viewpoint. Do not expect to be alone, as often times there are a few photographers atop the cliff hoping to catch the perfect shot. If you venture to Black Rock Viewpoint at any other time of the day, do make sure to bring a bottle of water and a small towel. It can be rather hot and humid trekking through the jungle, and even more so if, upon reaching the top, there are no clouds in the sky. A few metres down the road from the markers of Black Rock Viewpoint, there is a small wooden sign nailed to an enormous palm tree. Hand-painted, the sign reads Welcome to Dragon Cape with an arrow pointing off into the horizon. Following this road is an adventure unto itself, as the road conditions deteriorate rather quickly with potholes and deep craters tucking themselves into the steep dirt road. If you have a lot of time to explore, you can carefully maneuver your way down the road through dense jungle and towering coconut trees until you reach the bottom of Dragon Cape. The sea views here are breathtaking, and the descent is extremely steep. 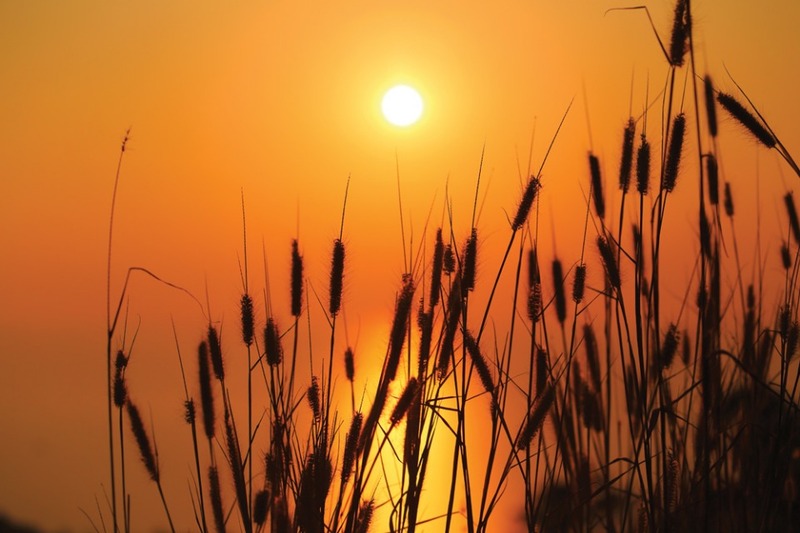 Be sure to enjoy the views, but also be mindful and watch your step. The jungle here is dense, affording the opportunity to enjoy a wide variety of free nature sounds and to spot majestic sea eagles overhead. The trip back up from Dragon Cape is known to be a bit hairy. Walking down is enjoyable, but walking back up requires that you are in good physical condition as the incline is rather steep and often the road up can be slippery. 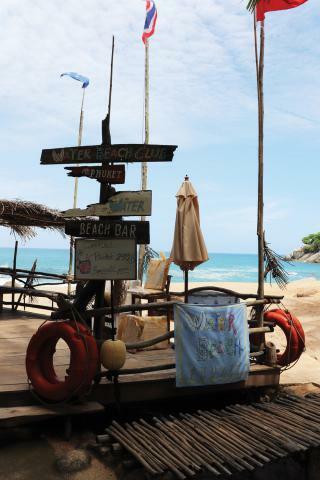 Nui Beach is without a doubt one of Phuket’s most beautiful ‘secret beaches’. 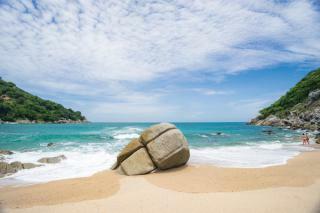 Essentially, it is a long, narrow strip of sand dotted with boulders and backed by verdant jungle-clad hills. The scenery is idyllic and Nui Beach really does feel like a tropical beach dream come true. Nui Beach is often referred to as Water Beach Club, as this is the name of the management company that looks after it. 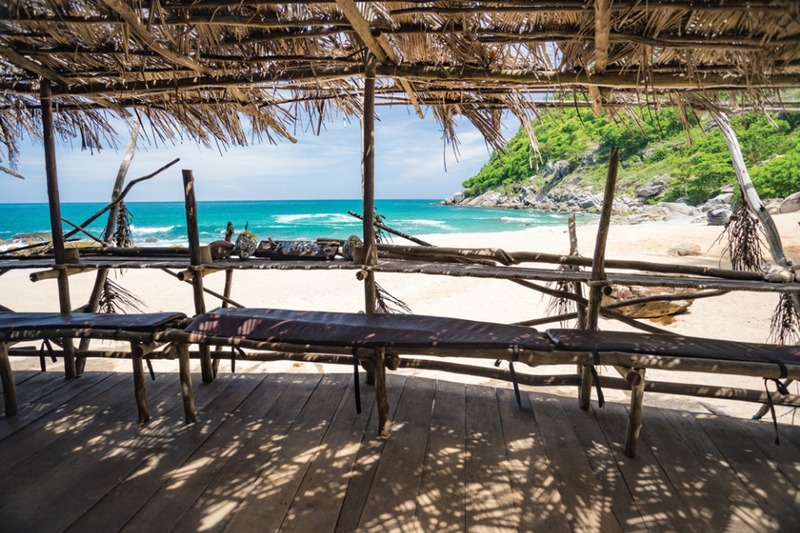 The staff ensures that the beach is well maintained and cleaned up on a daily basis, which leaves Nui Beach looking immaculate and so inviting. 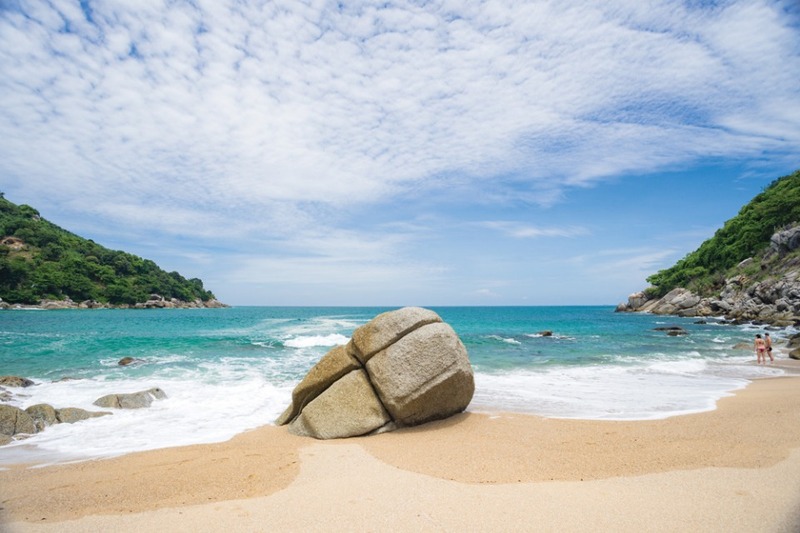 While the water here is crystal clear, one should exercise caution swimming as there are a lot of large boulders lying just below the surface. 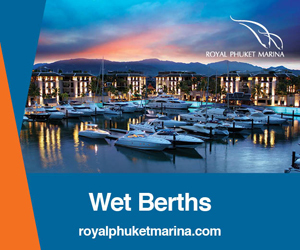 The management company have done a really nice job with the place, and on-site you can find a restaurant that serves affordable, simple Thai food and drinks, and a shabby chic spa that includes a sauna and offers massage packages. There is a wide variety of activities offered at Nui Beach, which include snorkelling, sea kayaking, beach volleyball and scuba diving lessons. 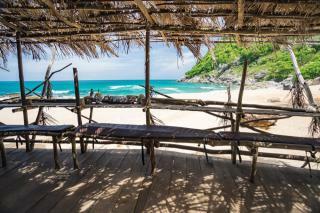 While access to Nui Beach is free, getting down to the beach is no easy feat. If you decide to go it alone, you can walk down the rather bumpy, half-paved jungle road to reach the bottom, or if you are rather brave, it is possible to drive down. Alternatively, you can park your vehicle at the access entrance to Nui Beach and take the pickup truck waiting at the parking area. Trust us, it will take you down safely to the beach. 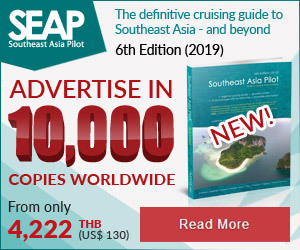 The 100 baht price for a one-way transfer is entirely worth it, especially if you do not necessarily trust your driving skills on steep hills. 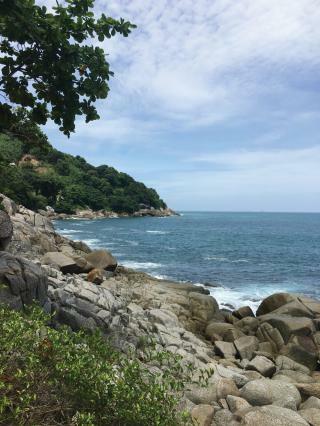 Black Rock Viewpoint, Dragon Cape and Nui Beach can all be reached from the road that starts a few hundred metres to the right after Karon Viewpoint, when heading south towards the Rawai and Nai Harn neighborhoods. Follow that road until you see the makeshift parking area for Water Beach Club. Leave your bike here and take the pickup down to Nui Beach. 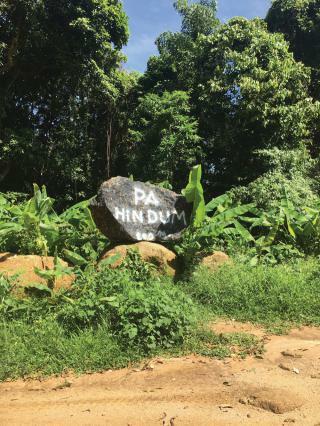 If you are heading to Black Rock Viewpoint and Dragon Cape, continue following the road left until you see a large boulder painted with Pa Hin Dam. Park here and follow the ramshackle sign written in Thai as it indicates the start of the path up to Black Rock Viewpoint. 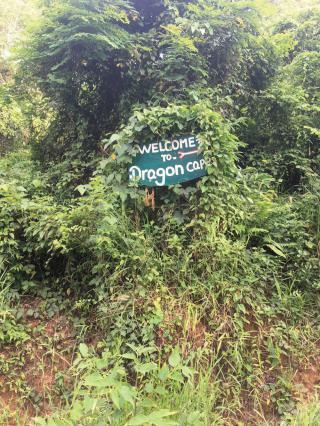 The sign that reads Welcome to Dragon Cape is just a few hundred meters further down the road. 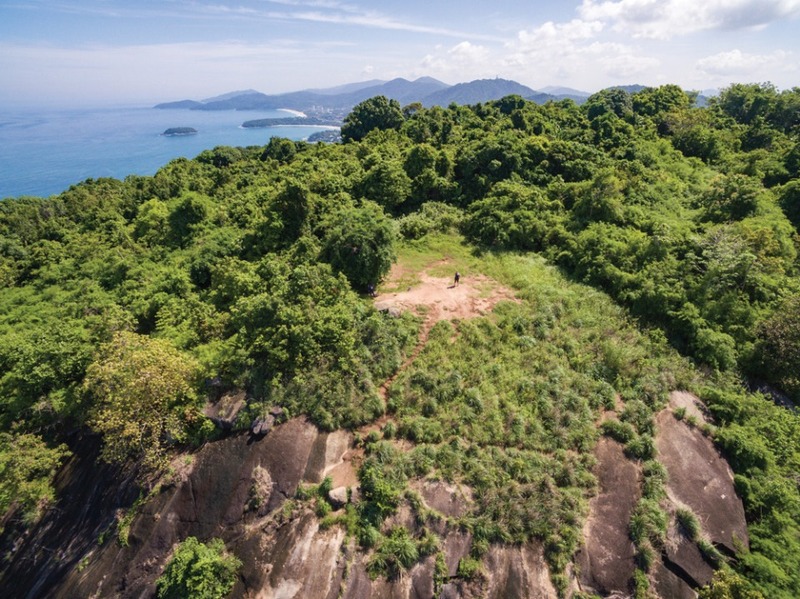 Note that both Black Rock Viewpoint and Dragon Cape are not necessarily easy destinations to get to, so please ensure you have a bottle of water, perhaps a towel for perspiration and mosquito spray with you. 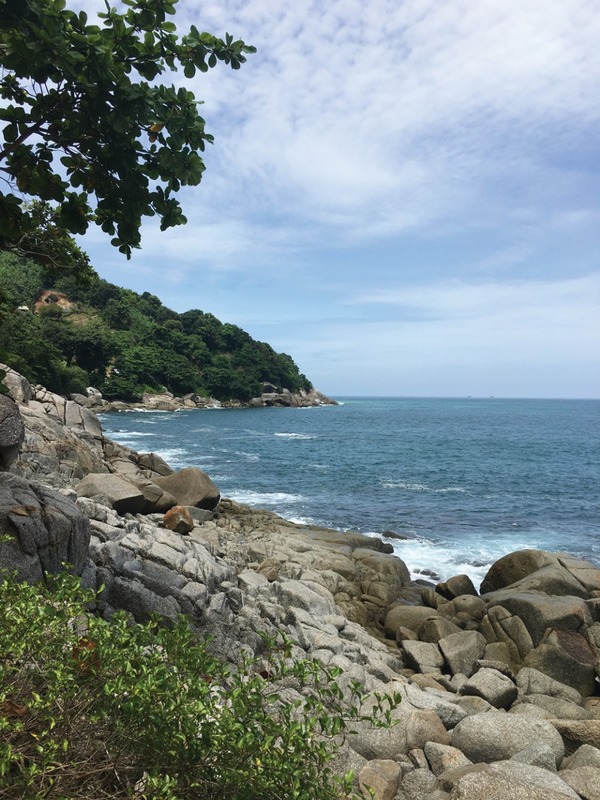 While this area of Phuket is really great fun to explore, it can also be a bit dangerous. 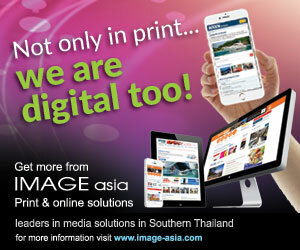 Please use common sense when exploring southern Phuket’s hidden gems.